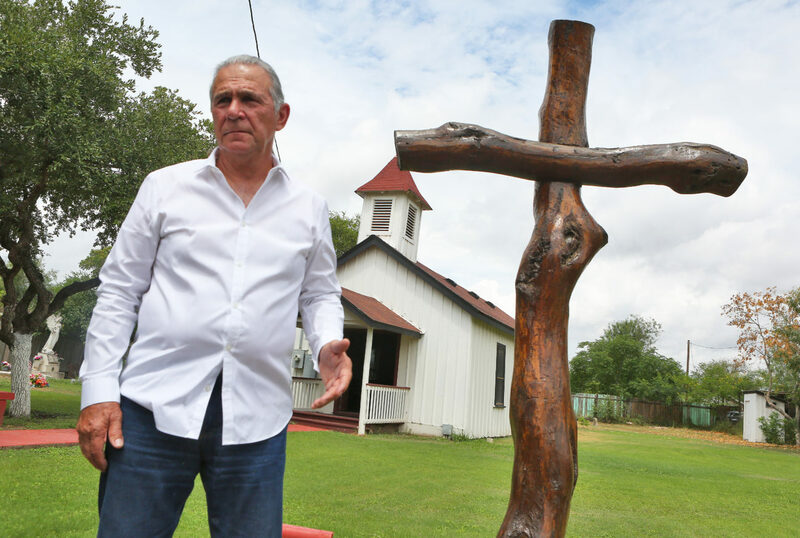 SOUTH OF SAN JUAN — Ramiro Roberto Ramirez stood near an 8-foot wooden cross he constructed for the chapel his great-great-grandfather built here in 1874. 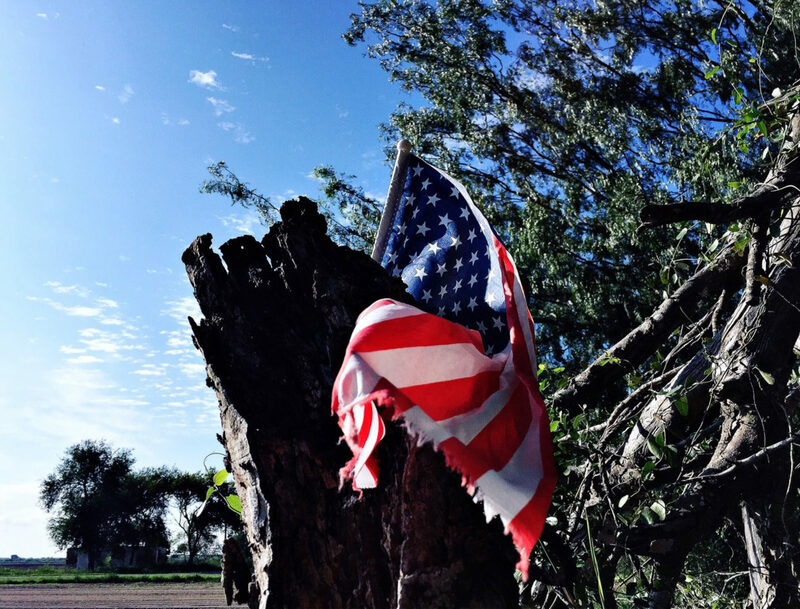 “The actual wood, the mesquite, came out of our property. We carved it out, and as you can see there are no nails on this, it’s just pressed in there and glued,” said Ramirez, who built the cross with a friend two years ago. Ramirez, 70, beams with pride as he talks about rebuilding the 600-square-foot chapel, which was damaged by Hurricane Dolly in 2008. 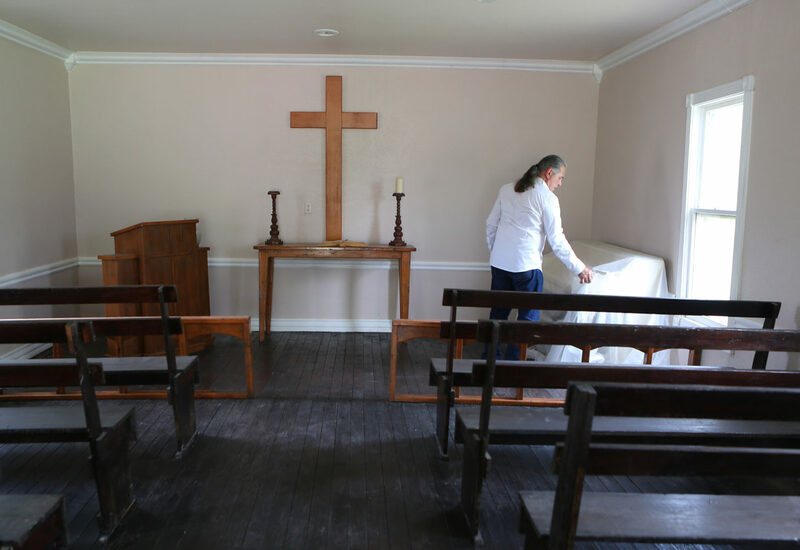 Before then, up to 50 parishioners would crowd the quaint chapel for Sunday service. A designated historical marker, it’s known as the first Spanish-speaking Methodist Church in the Rio Grande Valley. 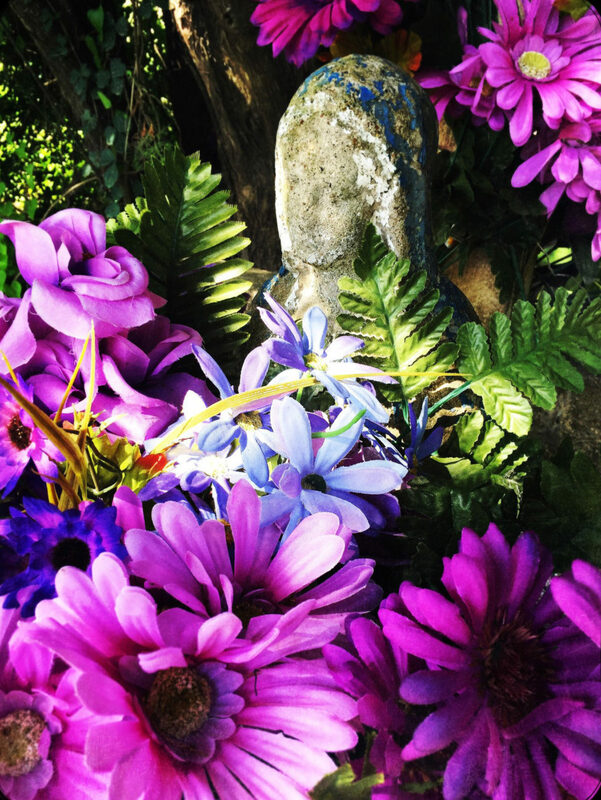 A few feet away from the chapel are headstones he selected, near the graves of his ancestors at Martin Jackson cemetery, for he and his wife, Melinda Ramirez. In 1857, Ramiro Roberto Ramirez’s great-great grandfather, Nathaniel Jackson, arrived on the land from Wilcox County, Alabama, along with a caravan of seven families and freed slaves in his care, looking to escape a hostile environment rife with prejudice. 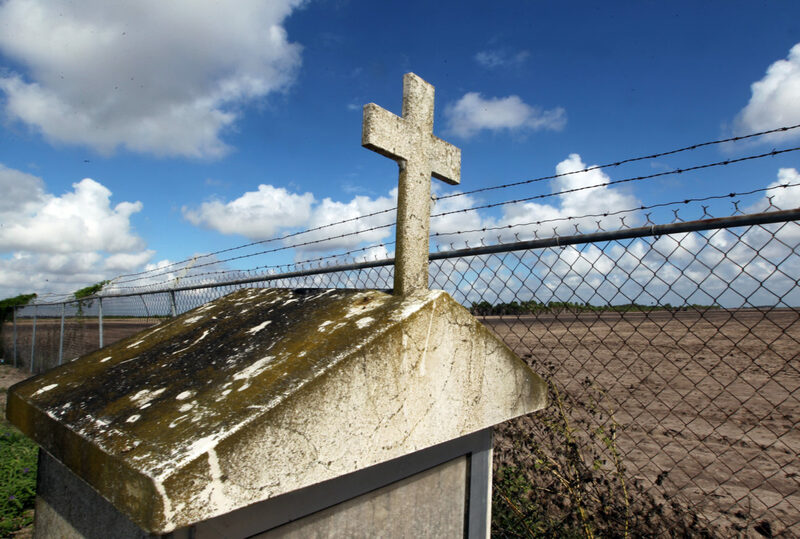 But he fears the church and the graves of his ancestors will soon be relegated behind a steel fence, a result of the Trump administration’s continued effort to build border walls along the U.S.-Mexico border. A wall erected here would separate Ramirez from his roots because the Jackson Ranch sits just south of the levee, where the administration plans to install a border wall beginning as early as February 2019. The area is part of 25 miles of border wall, slated to be built in Hidalgo County, that was funded by Congress in March. Jackson initially planned to travel into Mexico where slavery had been abolished, but instead settled near San Juan, establishing a ranch just 4 miles west of what is now the Santa Ana National Wildlife Refuge. 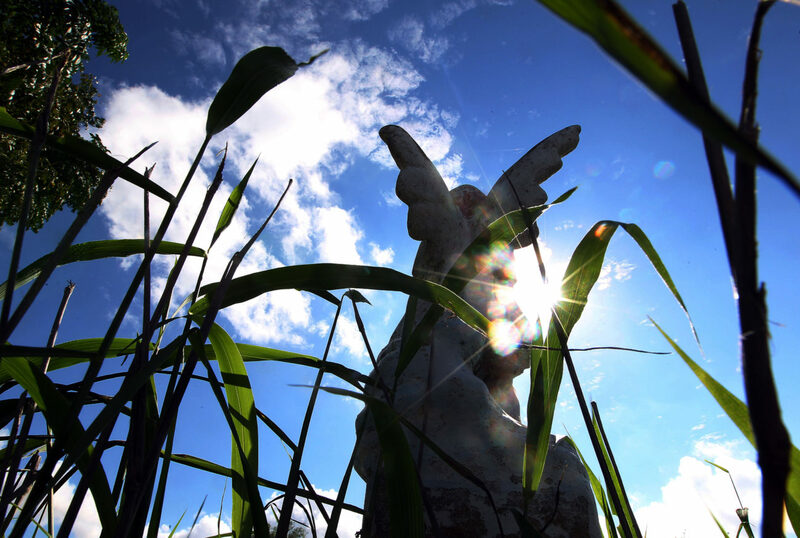 The refuge was recently spared of its own fate, after environmentalists and lawmakers pushed for the government to forego initial plans to have a levee wall cut through 3 miles of the land known as the “crown jewel” of the Valley’s refuge system. 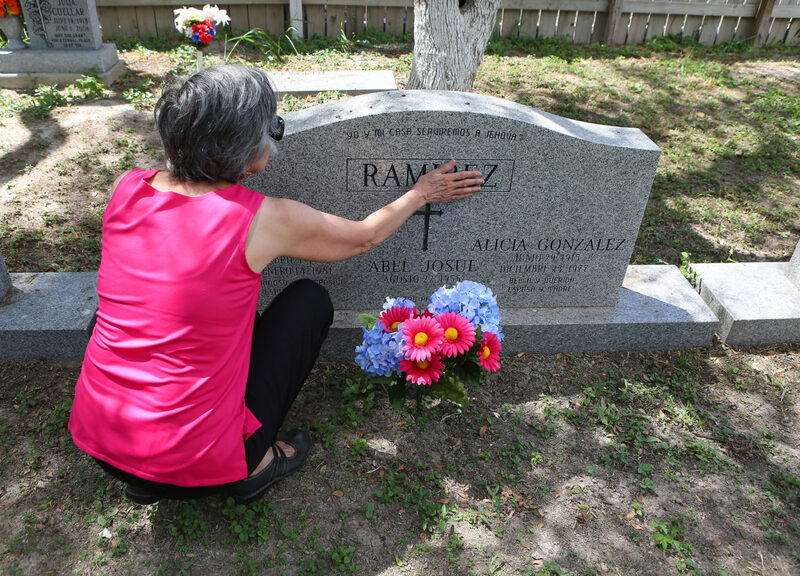 Ramirez and his family hope the church and three historical cemeteries — the Martin Jackson cemetery, where Ramirez’s father was buried; the Eli Jackson cemetery, named for Nathaniel’s son and where Nathaniel Jackson, the patriarch of the family is buried; and the Brewster-Bravo cemetery — are also spared from the wall’s construction. 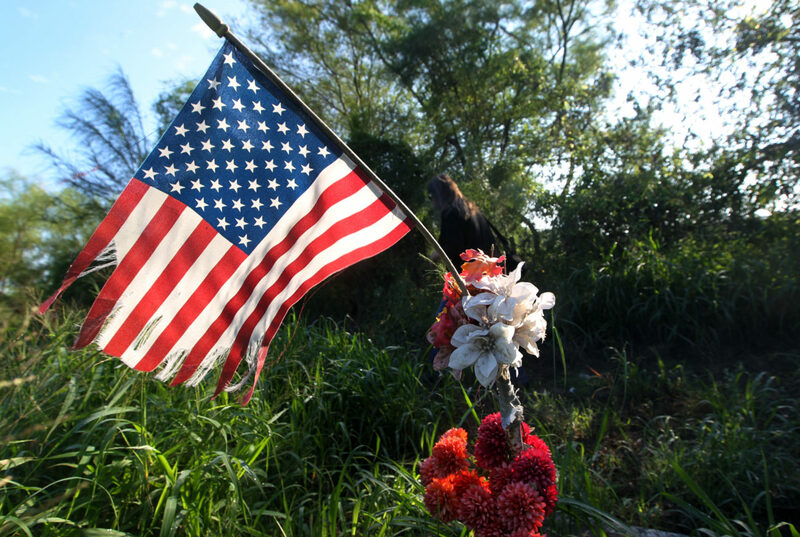 The Eli Jackson cemetery, which is about 300 feet west of the Martin Jackson cemetery, is of particular concern for Ramirez because of its close proximity to the levee, where border wall infrastructure could compress it against a 150-foot-wide patrol road. 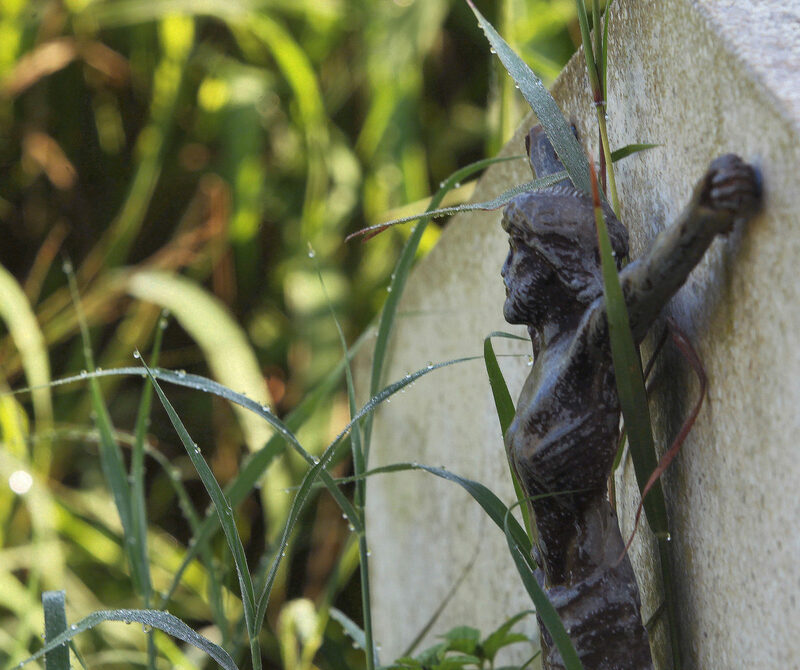 He’s worried the proposed road’s proximity to the cemetery would endanger the remains of his ancestors. 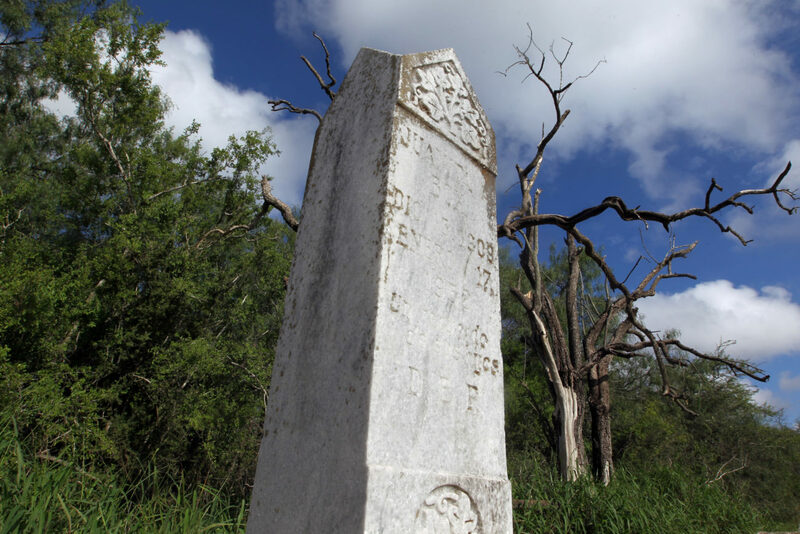 Roseann Bacha-Garza, the program manager of the Community Historical Archeology Project with Schools program, or CHAPS, at the University of Texas Rio Grande Valley, has been documenting the Jackson Ranch cemeteries in connection with her study of the Civil War era, and its connection to the Valley. Through research, she found that the ranch was one of the destinations of the Underground Railroad. “The Jackson Ranch was an important part of Rio Grande Valley history since Nathaniel Jackson’s arrival in 1857, and even after the Civil War was over, there was still people coming through, either visiting the Jackson Ranch on their way into Mexico, or deciding to just go ahead and stay, and settle along the Rio Grande,” Bacha-Garza said. Other pioneers — Rutledge, Singleterry, Champion, Brewster, Miller and other families — arrived with Jackson, putting down roots. 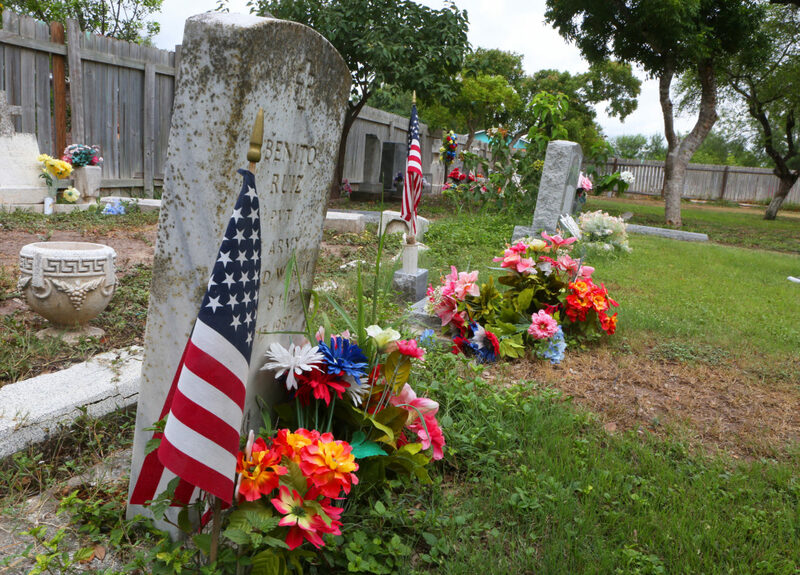 Also buried at the Martin Jackson cemetery is Abraham Rutledge — who was Nathaniel Jackson’s son in-law, and the great-great grandfather of Valley native and former Hidalgo County Republican Party Chairman Hollis Rutledge. Abraham Rutledge shortly enlisted in the Confederate Army in 1862. Hollis, despite his fellow Republican’s stance on border walls in the region, said a wall would be a waste of taxpayer dollars, and would only dilute the history of the Valley. 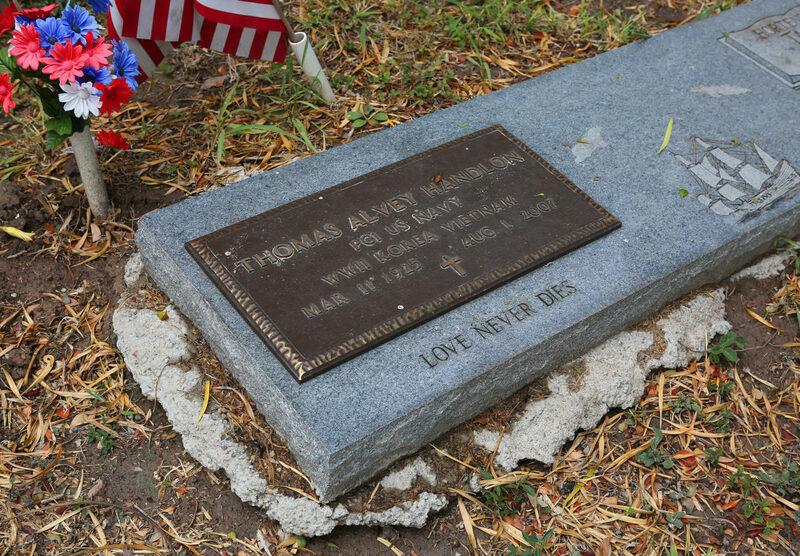 Sitting inside his downtown Mission office on a Wednesday afternoon, Hollis recounted how, six years ago, he learned of his ties to the historic cemetery, and other families who first made their way to the Valley in the 1850s. Hollis said he believes part of the issue with the government’s plans for border walls is the lack of contextual understanding of the region and its people. He agrees the U.S. should defend its borders, but not at the cost of the region’s history or private property. Sylvia Ramirez, Ramiro’s younger sister, is also concerned about what the wall would do to the family’s historic church. 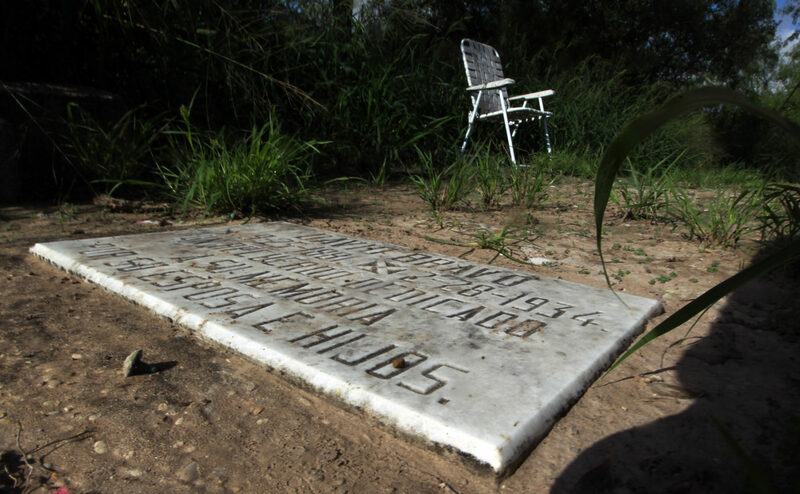 She hired an Austin-based attorney familiar with property rights, believing government officials don’t care about the potential damage border wall construction could do to those buried on the land. Seeking additional help, she called U.S. Rep. Vicente Gonzalez, D-McAllen, and his staff’s office, who put her in contact with U.S. Border Patrol representatives. A conversation with a Border Patrol official, however, went nowhere, according to Sylvia. Sylvia said the agent confirmed that plans for the construction of the wall on the levee had already been finalized in that area. All that was left to determine now, according to the agent, was how people could access the church and land behind the levee once it was constructed, she said. She also spoke to U.S. Rep. Filemon Vela, D-Brownsville, who was part of the effort to raise awareness about Santa Ana last year, and who advised them they should attempt the same strategy for their land. She said she and her brother have decided to take Vela’s advice, to make noise about their issue, and to bring awareness to what could happen to the historical area — hoping it will garner Washington’s attention. As part of their efforts to save their family legacy, Sylvia and Ramiro attended a “Know Your Rights” presentation, hosted by Marianna Treviño Wright, executive director of the National Butterfly Center. Scott Nicol, an environmentalist and executive board member with the Lower Rio Grande Valley Sierra Club, and attorneys with the Texas Civil Rights Project and Texas RioGrande Legal Aid assisted Treviño Wright with the presentation. Efren Olivares, director for TCRP’s racial and economic justice program, outlined how families like the Ramirezes can approach offers from government representatives looking to purchase property owners’ land as part of the construction efforts. He pointed to the case of land owners in Los Ebanos as proof that, although challenging the federal government may be a tough proposition, it isn’t impossible to stop construction. The National Butterfly Center is also on the list of places that will be impacted by border wall construction on the levee. Treviño Wright, who last July stumbled upon government contractors surveying land near the center in Mission, has been vocal about her opposition to construction in environmentally sensitive areas in the Valley. 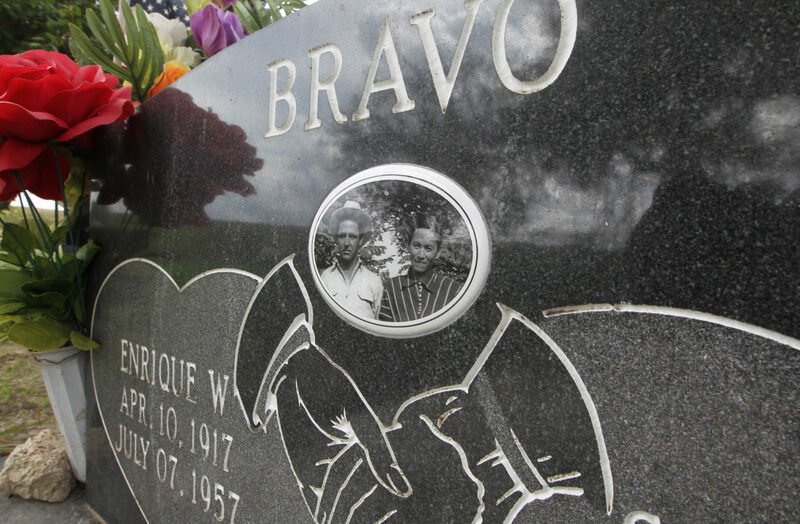 Sylvia said she had hoped to convince government officials to visit their cemeteries. “I would like them to come and visit and see it with their own eyes, see and speak with us, and see what this place means; read the history, and consider what and how a wall will affect that part of our legacy as a family,” Sylvia said. As she talked about the large contingency of relatives who would lose part of their history if they were cut off from the land, Sylvia became emotional, but expressed determination to fight as long as it’s necessary. “That is part of our important history. I feel like we’re losing when you cut it in half and put that wall in between. It’s like it doesn’t matter anymore,” she said as her voice trembled.